The journey will immerse you in a handful of hours. 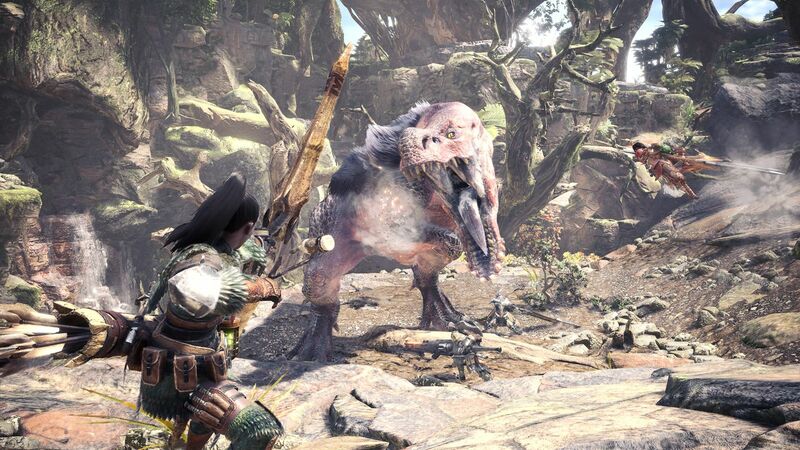 It has been revealed the time length it will take to complete Monster Hunter: World, which is releasing next month on Xbox One and Playstation 4, with a PC release coming later during the year. With the series taking a step away from Nintendo consoles this round, the game will be able to offer an HD experience and over-world, something the 3DS wasn’t able to do due to hardware limitations. The game will take roughly 40-50 hours to complete, with content not ending after the story credits end, with more content for players to stay engaged in and the ability to keep upgrading their armor. According to producer Ryozo Tsujimoto, the story will take around 40-50 hours to complete. Of course, a Monster Hunter game does not end at the story credits, and Hunters can continue to upgrade their weapons and armor. Art director Kaname Fujioka mentioned that event quests will come out on a weekly basis. The Coral Highlands have areas that are above or below other areas, but this comes from the developers directly building off the knowledge gained in making vertical areas from Monster Hunter Tri all the way to Monster Hunter 4. In creating the maps, the developers focused on features that could provide gameplay variety, so that every hunt would be different. The design crew visited many areas of Australia, which heavily inspired the Ancient Forest and Wildspire Waste.